Luxembourg Kid is the children's adapted version of the classics under all Fermob garden furniture. Designed and tested for children from 3 to 6 years, the Luxembourg Kid children's table is a vividly coloured and robust table for the usage inside and outside. Visually and functional it perfectly fulfils the Luxembourg Kid children's chair. Dimension, material, colour and safety – all that belongs to the Luxembourg Kid children's table is especially adapted to children's demands. Luxembourg Kid was tested by Fermob after the valid European norms for the usage by children from 3-6 years of age. 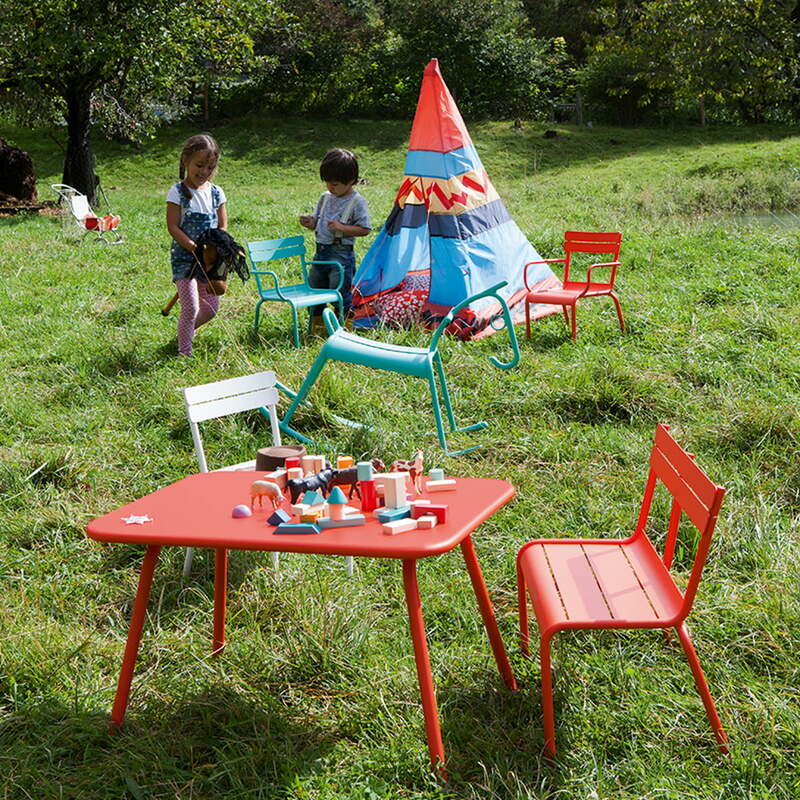 The coating of the Luxembourg Kid children's table from Fermob is made out of UV-resistant powder lacquer. For also the colour resists the continuous stress in the garden without any problems. The structure of the table consists of robust steel rod, the table board of lacquered steel plate. Inspiration and name of the garden furniture collection were coined by the magnificent garden Jardin de Luxembourg in Paris, or the there found garden furniture. The new interpretation from the designer Frédéric Sofia does partly show its classical examples, but does simultaneously look current and timeless. 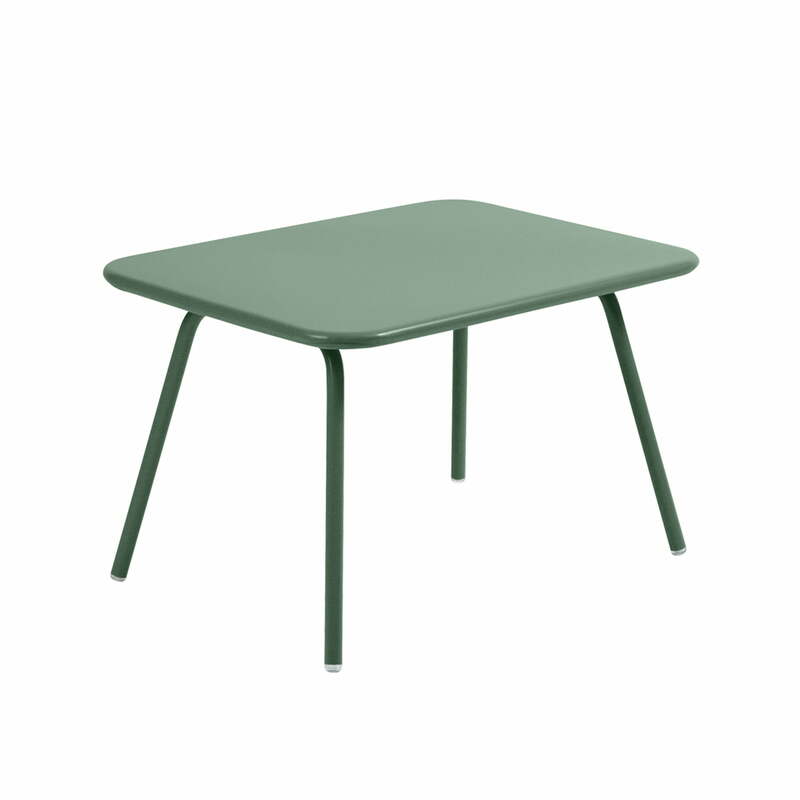 Fermob offers its Luxembourg Kid children's table in a wide colour range. 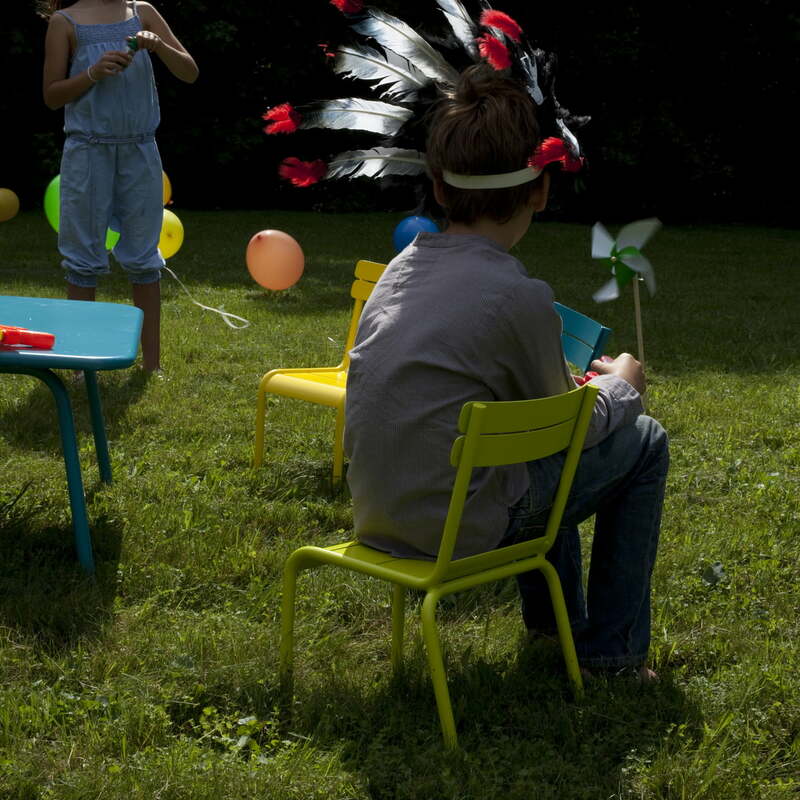 Size, material, colour, and safety – all aspects of the Luxembourg Kid children’s chair and the bench by Fermob are especially adapted to children’s demands.